Chinese “Northerners” are known to be drinkers, and quite aggressive ones especially during business situations. From baijiu (white liquor), huangjiu (yellow wine), to everyone’s regular favorite pijiu (beer), there’s no shortage of liquor to imbibe. 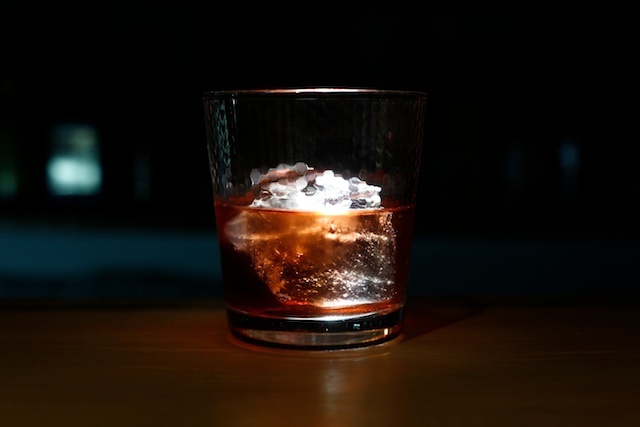 But even so, there’s really nothing I enjoy more than an after-work cocktail, a whiskey-based concoction made with detail and precision, to help alleviate some of those many possible stressors one can encounter while living in Beijing. The big city isn’t all bliss, but fortunately there are a handful of nice bars with well-made drinks and friendly bartenders. For those who don’t live so conveniently close to a bar, have yourself a little Mad Men break and pour yourself a neat Scotch. This entry was posted in Beijing, Taste and tagged cocktail, natasia, taste. A Saigon fizz sounds like my cup of tea! Should be an easy one to make too. Try Beefeater Gin, ginger, lime, angostura bitters and tonic, ratios you can invent. I like your style Natasia :) now where can I find a Fig Old Fashioned in SF? Sounds ah-mazing! I tried Rickhouse a couple years ago and their drinks weren’t too shabby. Have you been? Oh yes, Rickhouse has a vieux carre cocktail that I adore. Ah, I wish I was in Beijing. I was making Sazeracs the other night and thinking of Southern Cross. Oh yummo. I definitely miss Keifer and Southern Cross. I wonder if Beijing’s Apothecary is affiliated with New York’s Apothecary in Chinatown?? Probably not, the name and concept is really popular. I also totally stand by Susu’s Quiet American.